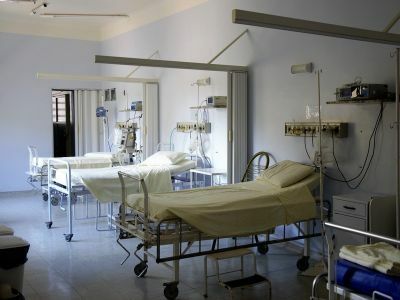 Contamination of patient privacy curtains with multidrug-resistant organisms is common, according to a study that will be presented at the European Congress of Clinical Microbiology and Infectious Diseases meeting in Amsterdam, Netherlands, April 13 through April 16. Researchers from Michigan Medicine's University Hospital in Ann Arbor conducted the study at six skilled nursing facilities in southeast Michigan. They collected cultures from several patient body sites and high-touch surfaces in the patient's room. They collected cultures upon patient admission, on day 14, on day 20 and every month for six months. The research team collected 1,521 samples from privacy curtains in 625 short-stay patients' rooms. They found that 334, or 22 percent, of the cultures obtained from privacy curtains were positive for multidrug-resistant organisms, including 13.8 percent that tested positive for vancomycin-resistant enterococci, 6.2 percent for resistant Gram-negative bacilli and 4.9 percent for methicillin-resistant Staphylococcus aureus. There was no difference in curtain contamination between private rooms and shared rooms. Additionally, researchers found beside curtain contamination was linked to patients becoming colonized with MRSA and VRE.